Appleton, WI – Ty Morrison scored the tying run in the ninth and then drove in the winning run in the tenth to send the Hot Rods to a 7-6 win over the Wisconsin Timber Rattlers at Time Warner Cable Field. Morrison’s heroics capped off a wild game to give Bowling Green its first extra-innings win of 2010. The victory also clinched a series win for the Hot Rods through the first three games of this three-series road trip. The Hot Rods winning rally occurred in typical Hot Rods fashion in the tenth inning: small ball mixed with aggressive, speedy base-runners. Gabe Cohen led off the inning against Caleb Thielbar with a single to right field. He took second on a perfect sacrifice bunt from Julio Cedeno before pinch-hitter Tyler Bortnick struck out for the second out of the inning. That brought up Ty Morrison, who a hit slow ground ball towards third base. Wisconsin third baseman Cutter Dykstra waited for the ball to come to him, which allowed Cohen to cut in front of him to create a small distraction. Dykstra eventually picked up the ball and threw to first base late, allowing Morrison to reach. While the Timber Rattlers argued the call, Cohen never stopped running and scored all the way from second base to put the Hot Rods in the lead. The Hot Rods tenth inning rally would’ve never happened had they not sent the game into extras by scoring in the ninth. Down 6-5 in their last at-bat, Morrison singled to right field against Del Howell. He stole second before Chris Murrill struck out. 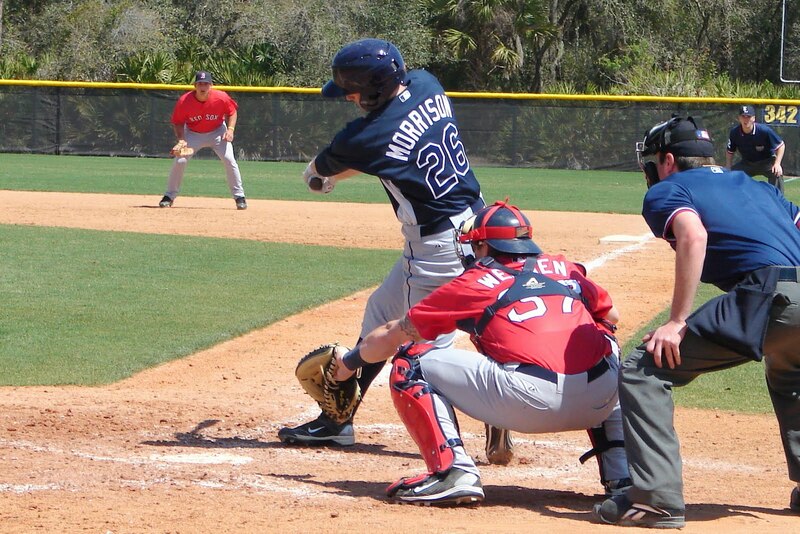 Morrison then took third on a wild pitch, followed by another strikeout from Robi Estrada. That brought up Brett Nommensen, who executed a bunt squeeze play to perfection to score Morrison from third to tie the game at 6-6.
just one hit, but got help with two walks, a hit batter, and runs batted in by Estrada and Wiegand. After Wisconsin scored two in the third, they added one more on a Murrill sacrifice fly in the fourth to make it 4-2 Bowling Green. That’s when Wisconsin rallied back to take the lead against the Hot Rods bullpen. After five innings of two-run ball from Aaron Dott, Jake Sullivan allowed three unearned runs in the sixth, getting hurt by a walk, a double, and three Hot Rods errors. After the Hot Rods tied it in the seventh on a groundout by Wiegand, Khris Davis homered in the eighth against Deivis Mavarez to put the Timber Rattlers back on top heading into the ninth. Dott took a no-decision pitching in front of some 250 family and friends who made the trek from nearby Green Lake, WI, to see the native son pitch. He allowed just one hit in five innings, giving up two earned runs on three walks and four strikeouts. Sullivan and Mavarez combined to give up four runs before Shuman closed the door over the final two innings. Morrison finished the game with two hits in addition to walking once and being hit by a pitch. He scored twice and drove in the game-winning run. Murrill figured heavily into the offense scoring three times with one hit, two walks, and a sacrifice fly for his 20th RBI of the season. Wiegand drove in two runs while Nommensen’s bunt single raised his RBI total to 25, one behind team-leader Wiegand. The Hot Rods now head south to Beloit, WI, to wrap up their first-half series against Western Division teams with the Beloit Snappers (Minnesota Twins). RHP Jason McEachern (2-5, 5.07) takes the ball against Beloit RHP B.J. Hermsen (3-1, 3.94). First pitch is at 7:00 PM CDT. You can follow the game with Tom Gauthier beginning at 6:45 PM on 1340 AM WBGN and www.bghotrods.com.